Want some help? You get 25% off on a phone consultation with a Divorce Helpline attorney for up to 20 minutes. You’ll be amazed at how much can get done in 20 minutes! To get your discount simply purchase any product from Nolo Press Occidental. If you purchase a book, your discount coupon will be shipped with the book. For purchases of downloadable products, your discount coupon will be emailed the same or next business day. Divorce Helpline was created by Ed Sherman in 1989 with partners Anne Lober and Peggy Williams. The goal was to drastically improve the way attorneys practice in divorce cases and to provide expert support for people who are doing their own. Divorce Helpline attorneys work as your guide and assistant, helping you to understand, plan, develop otptions, solve problems, talk to your spouse, and negotiate or mediate to reach a fair settlement in the least painful and least costly way possible. 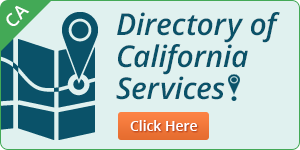 Available for telephone consultation throughout California or at 14 offices around the state. Expert and highly experienced attorneys provide personal and legal advice, mediation, arbitration, collaborative law, and private judging. Divorce Helpline’s unique methods are highly effective and cost-effective. To learn more about Divorce Helpline, click here or call (800) 359-7004 for a free explanation of how Divorce Helpline can help you.